If you’re interested in saving money, you’ve doubtless looked at ways to cut your grocery bill, thought about dialing back your cell phone spending, and have considered giving up cable. But you might not have given your wardrobe spending a whole lot of thought, perhaps because it’s not a regular monthly bill like cable. Given that the average American spends $121 a month on clothing, though, this is a budget category that shouldn’t be ignored. And in addition to the compelling financial reasons to rein in your wardrobe spending, there’s an ethical side to this as well. Americans tend to buy far more clothes than they can actually wear, and these clothes tend to be cheap, poorly made clothes, sewn in sweatshop conditions. The clothes are typically worn only a few times, if at all, before they’re discarded, and the mountain of used garments is too much for even thrift stores to sell. By buying more carefully and taking care of your clothes so they last, you can avoid contributing to this waste stream and you can also free up budget money to buy more responsibly-made clothes. So, here are 5 ways to reduce your wardrobe spending, and as a bonus, all of these tips will also help you to shop for and use clothing in more ethical ways. Second-hand stores have low prices, certainly, but they also offer guilt-free shopping, because your dollars go not to an overseas sweatshop, but to a local business or to a charity. And that’s true even if the merchandise you’re buying originally came from China. To make thrift shopping simpler, stick with the best stores in your area (look for stores in more upscale areas since their merchandise is usually better. ), and stop in on a fairly regular basis. Second-hand stores’ stock changes on a daily basis, and if you shop frequently, your odds of finding the item you want increases. Dress in clothes that make changing easy (leggings and a tank top allow you to try on most clothes even without a fitting room. 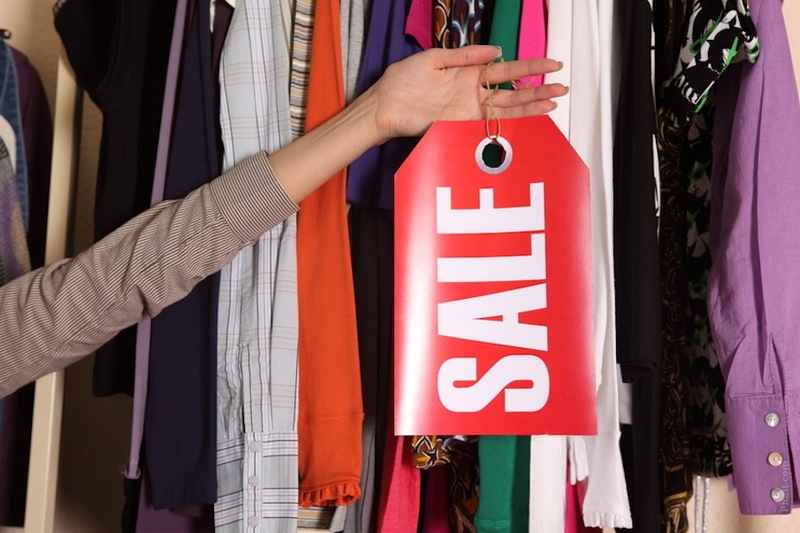 Whether you shop at a thrift store or the mall, keep an eye out for quality items. For instance, buy real leather instead of pleather, choose tees made with heavier cotton knit instead of flimsy, paper-thin fabric, and check seams and buttons to make sure they’re sewn on properly. Quality items cost a little bit more upfront (sometimes a lot more!) but they last longer and they also are more likely to be able to be repaired, so your per-wear cost will actually be lower than the per-wear cost of a cheaply-made item. To start with, try washing your laundry in cold water. Modern detergents are formulated to work well without hot water, and the cool water will help to keep fabric from fading. Cold water washes will save on electricity as well. Dryers are notoriously hard on fabric, so even if you can’t manage to line-dry all of your laundry, throw your t-shirts and underwear into the dryer and hang up the rest. Buy a few mesh laundry bags to protect your more delicate items, hand-wash if the tag specifies, and lay sweaters flat to dry. In short, pay heed to the directions on your garment’s clothing tag. If you’ve got a piece of clothing in your closet that’s in good shape, but needs some updating, give it a try. If you hate the item as-is, you’ve got nothing to lose and everything to gain. Dye a pair of faded jeans (black dye works great, as does a combo of dark blue and black.) Cut the long sleeves off of a layered shirt to make a short-sleeved tee. Take in the sides of a baggy shirt. Cut the legs off of hole-y jeans to make cut-offs. Move up the hem of a long skirt to make an updated short skirt. With basic sewing skills, you can easily extend the life of your clothing. Sew on missing buttons, fix holes in seams, sew unraveling hems, put patches on holes, and more. If you haven’t got basic sewing skills, fear not! There are plenty of tutorials out there on the web, and you can even find videos, like this one that shows you how to sew on a button. This is similar to modifying your clothes, but refashioning turns one item of clothing into another. For instance, you can turn old pants or jeans into a skirt, change a dress into a shirt, or make a child’s dress out of a woman’s t-shirt. The possibilities are nearly endless, and there are a number of great refashioning blogs on the web to inspire you. We live in a culture of throw-away clothing, but you don’t have to be a slave to it. Buck that expensive, unethical trend by buying mindfully and treating your clothes with care. You’ll save money, reduce your environmental impact, reduce the demand for sweatshop clothing, and as a result, you’ll feel pretty darn good.